It is a well-known fact that a healthy budget is the most important asset of a company. It can sometimes be chaotic to manage all income and expenses without having an easy system. 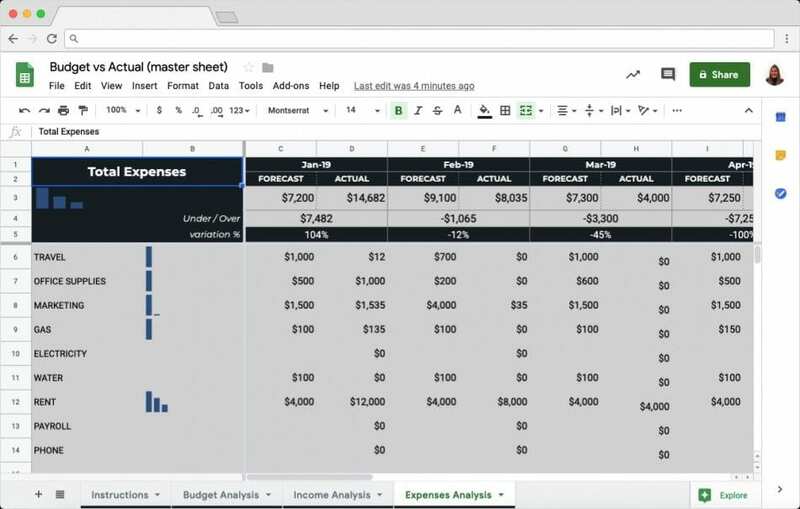 This Budget vs Actual template in Google Sheets automates the process of analyzing your company budget and forecasts. 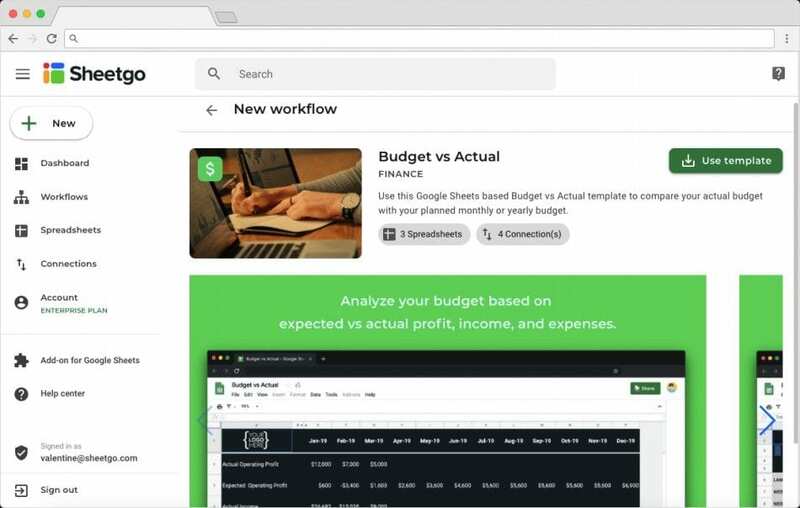 A ready-to-use, customizable template created in technology you already know, to efficiently monitor your budget. On the diagram above, you can exactly see how the template is designed. It entails 3 different spreadsheets. Two input spreadsheets “Income” and “Expenses” and one master spreadsheet “Budget vs Actual”. 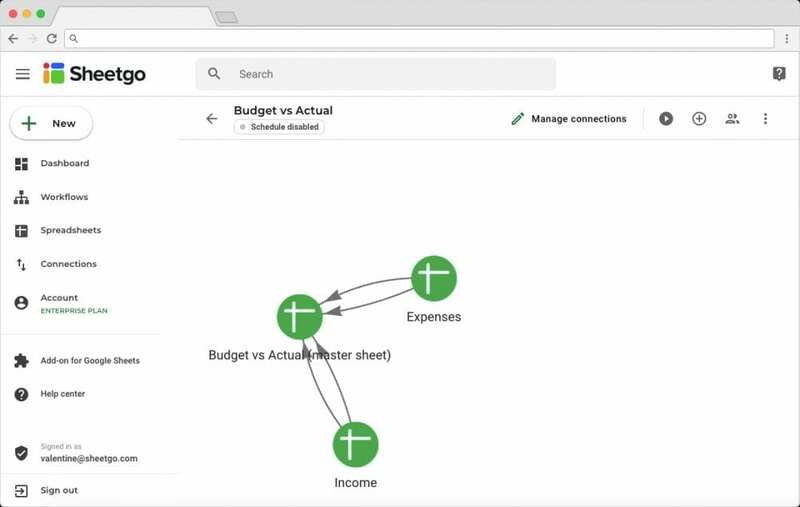 The connections are two-way connections, meaning that information flows from the input to the master spreadsheets and the other way around. This ensures flexible monitoring of your company budget in an automated way. 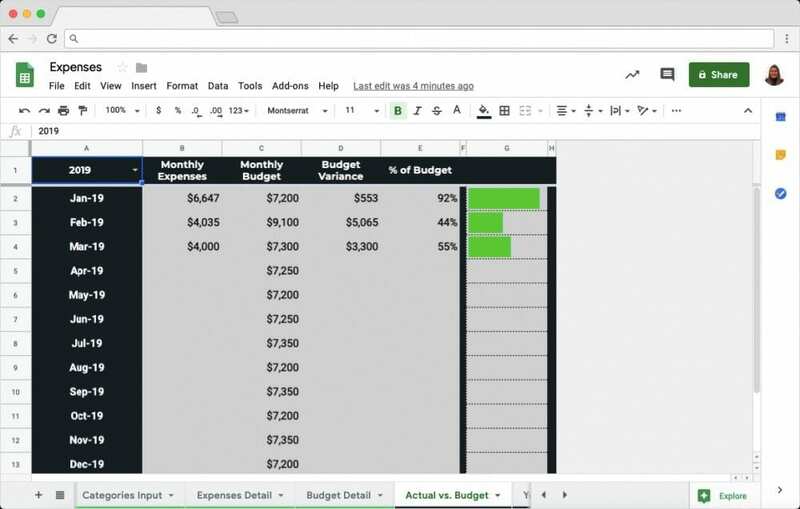 Install your Budget vs actual template in Google Sheets by clicking the button above. You will be asked to log in with your Google account. After authorizing, your Sheetgo account will automatically be created. You will be redirected to the Sheetgo Web Application where you can find the template and click on ‘Use template’ to install. As seen on the Network View below, the template consists of 3 different spreadsheets. Two input spreadsheets “Income” and “Expenses”, and one master spreadsheet “Budget vs Actual”. Click on each of these spreadsheet icons to open them and start using the template. To update the connections between the input spreadsheets and the master file, go back to the Sheetgo Web Application and click on the play button ‘Run workflow’. This will ensure the automatic flow of information between the 3 spreadsheets. 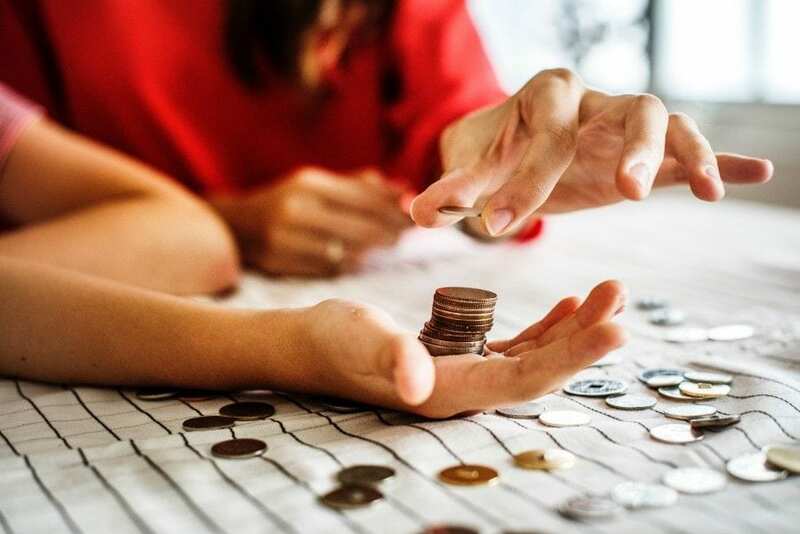 Use the master spreadsheet “Budget vs Actual” to monitor your income and expenses analysis and overall budget analysis. 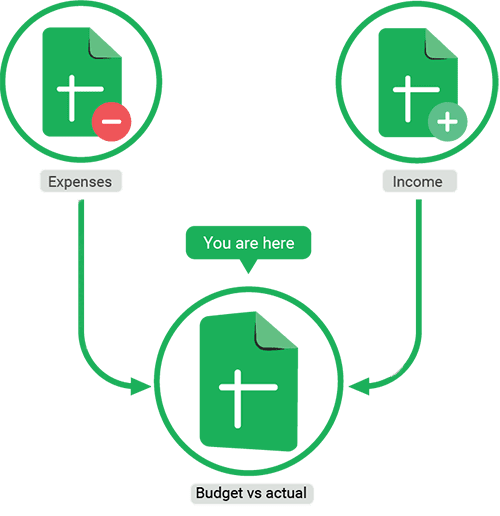 You’ve successfully set up your Budget vs actual template in Google Sheets.